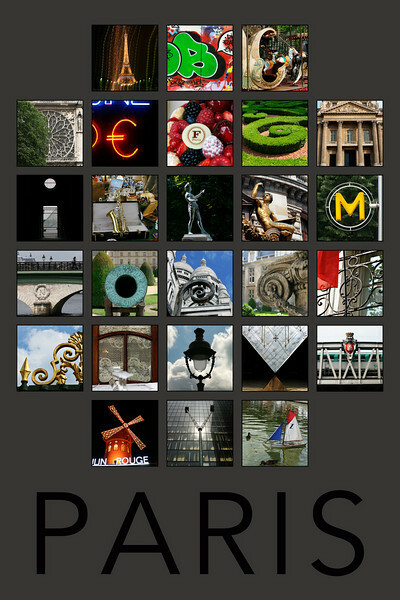 Get the original complete ABC Paris collection in a large (24x36 inches) high quality photographic print. Each "letter" on this 24x36" print is 4 inches. 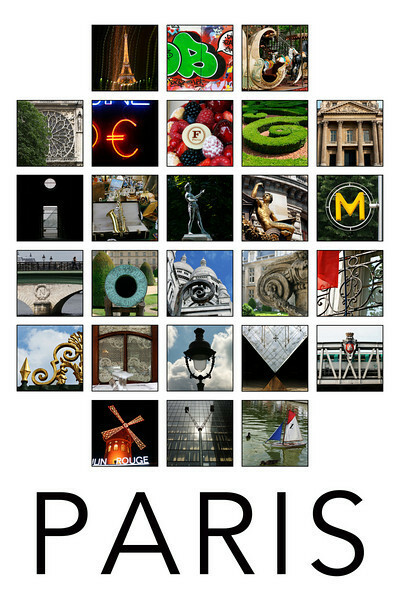 Although this will fit in one of the most common sizes of poster frames, this is NOT a conventional poster. These are professionally produced on high quality archival paper. 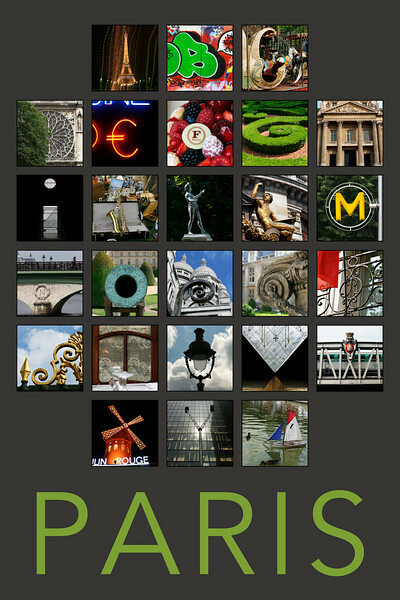 A great way to enjoy the entire Parisian alphabet.